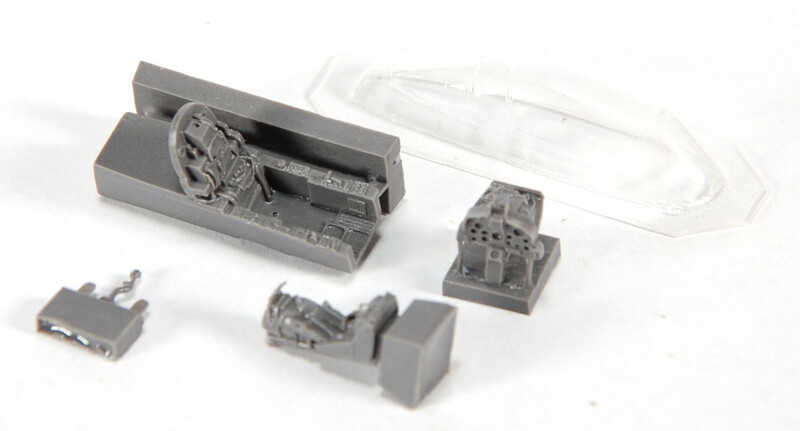 This Pavla resin update set consists of 6 resin parts and a vacuum formed canopy. All of the resin parts are molded very well and have no air bubbles. The detail is very high. The cockpit parts and the canopy should be a simple replacement for the kit parts. 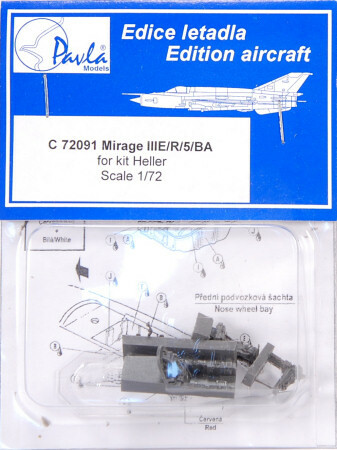 This set is for the Heller Mirage IIIE/R/5/BA kit. If you want to update your Heller kit, Pavla has the parts to get the job done!